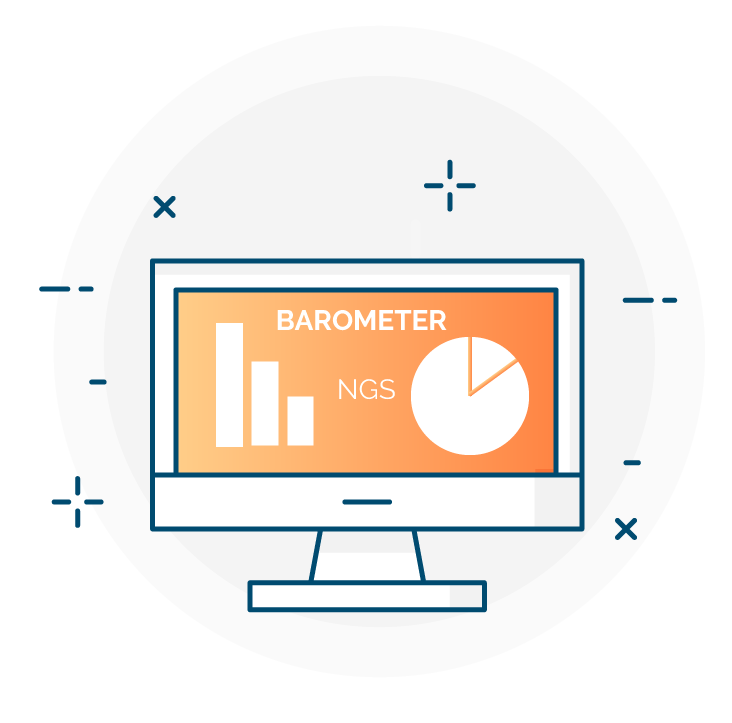 Take part in the international NGS barometer aiming to better figure out the current status of NGS data interpretation in oncology. We thank you to take a few minutes of your time to complete this survey. Once completed you will instantly have access to the barometer's results allowing you to position yourself to the trend. Through this survey, you will help to better define the current status of NGS based oncology data interpretation, customer experiences and product wishes. Amazon Echo Dot - Connected speaker with your personal Alexa assistant. A copy of the Book of James Watson "DNA: The Story of the Genetic Revolution". To all participants: a discount on the purchase of our OncoKDM service platform. The survey will be closed by the 30th of April 2019 and all participants will receive the final results personally. * 1. In what country do you work? * 2. What kind of institution are your currently working at ?